Families taking care of families. Finding a partner in care for a loved one is challenging with so many options in and around Utah and New Mexico, but it comes down to determining what really matters most. Families want to know that the home health care provider they choose is experienced, reliable, trustworthy, and compassionate. At Harmony Home Health & Hospice, we understand firsthand the need for both an expert level of skill and the caring touch that comes from family. It’s why we make it a priority to care for your family as part of our own. As the top providers of home health care Ogden Utah families need, our role is to restore harmony by meeting the individual care needs of each client we serve while bringing peace of mind to his or her family. Harmony Home Health & Hospice’s quality of care is unsurpassed and always provided with the family feel that brings comfort to clients and their loved ones. As our name implies, we strive to help families restore or maintain harmony through alleviating the stress that often goes hand in hand with the need for home health or hospice care. Our mission is to impact the lives of everyone we touch in a very meaningful, sincere, and deliberate way, every single day. We’re a family company, and want those in our care to feel like part of our family. Harmony Home Health & Hospice was inspired by our family’s own journey with our father, who required in-home care services near and during the end of his life. Through his journey we became familiar with the skills and approaches needed to create harmony in the lives of both the client and his or her family. We recognized that there was a need for coordinated and compassionate home health care services in our local communities, and started Harmony Home Health & Hospice as our calling to serve others. Beginning in 1996 in the basement of founder Dennis Stong’s home, our company now spans five offices in Utah and New Mexico and has provided a full range of home health and hospice services to tens of thousands of families. Locally owned and family operated, the Harmony Home Health & Hospice team remains committed to doing everything possible to care for your family with the same exceptional level of service we would provide for our own loved ones. 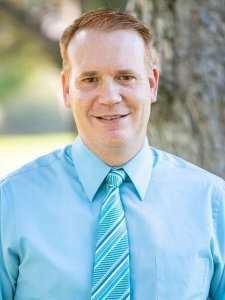 As owner of Harmony, Dennis works with the management team to oversee the continued growth of the company, with the unique compassion and perspective gained from his early career as a CNA and time spent as a corpsman in the Navy Reserves, developing a passion for caring for others. Dennis also attended Brigham Young University. 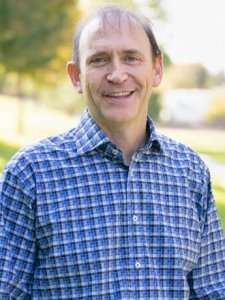 In his spare time, he loves being in the outdoors, including camping, mountain biking and spending time with his family. Kari oversees all operations of the company on a day-to-day basis, and is always seeking opportunities to grow and to better serve the community. As part of the Harmony team since 1996, she began in the accounting department, working her way up to VP of Finance and then to CEO. She loves every aspect of her position, and particularly knowing the difference the Harmony family is making in the communities served. 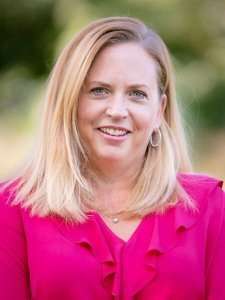 Kari holds both a Bachelor’s degree in Accounting and a Master’s in Business Administration. In her free time, she enjoys gardening and spending time with her family. David oversees both the financial and pediatric departments, and holds the distinct honor of being Harmony’s very first employee. 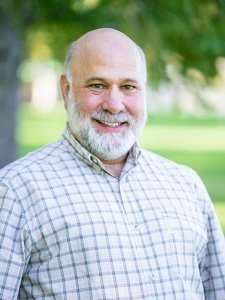 He began his career with Harmony as a CNA, as he worked his way through school and continued with Harmony after receiving his degrees (in Business Management and Business Finance). He’s served as Pediatrics Director since 2005, and as Vice President of Finance since 2008. He appreciates the opportunity to make a difference in the lives of others in his community, and is grateful for the opportunity to serve those in need. In his spare time, he enjoys playing and watching most sports, and spending time with his wife and three children. Mike brings years of both hospital and home health experience to his role as administrator and case manager for Harmony, and enjoys being out in the community and providing needed care to people where they’re most comfortable – at home. He graduated from both Front Range Community College and University of Colorado. His favorite pastimes include boating and home remodeling. Dee’s compassionate nature and clinical skill add depth to our hospice team, as she oversees hospice clinical operations to ensure quality services and patient care. She has always enjoyed the complete care aspects of being part of an interdisciplinary team that is committed to providing such outstanding care to patients and their families. 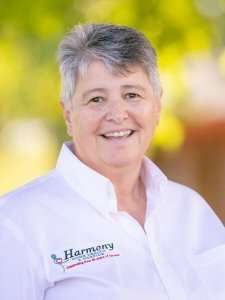 Prior to joining the Harmony team, she served as president of On Call Solutions, a call center specializing in triage for home care and hospice organizations across the western and midwestern regions of the country. Dee is a registered nurse and also holds a Bachelor of Science Health Administration degree from the University of Phoenix. In her spare time, she enjoys traveling with her family and playing golf.